Spend a day on the beautiful waters around Tomahawk, Wisconsin. 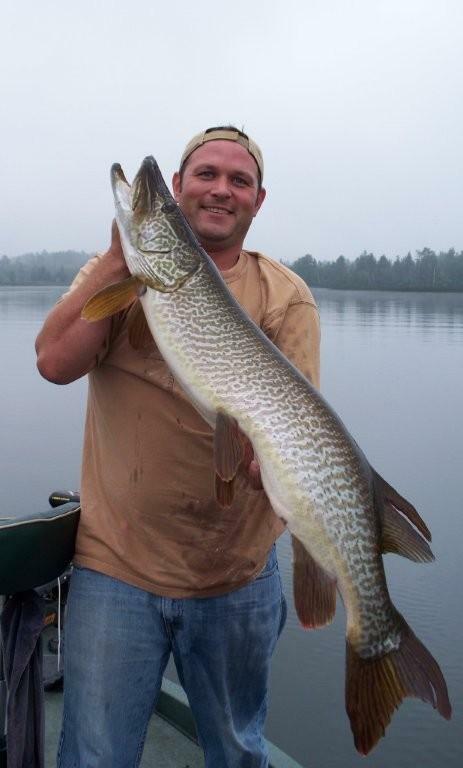 Fish for Walleye, Trophy Muskie, Northern Pike, Bass and fun to catch Panfish. 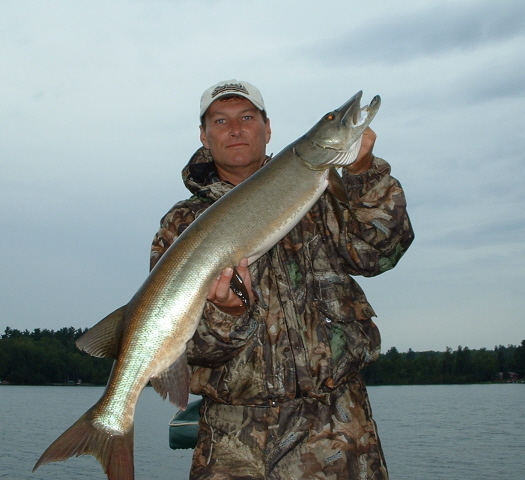 Our guides pride themselves on giving their clients a quality, fun and educational fishing trip. 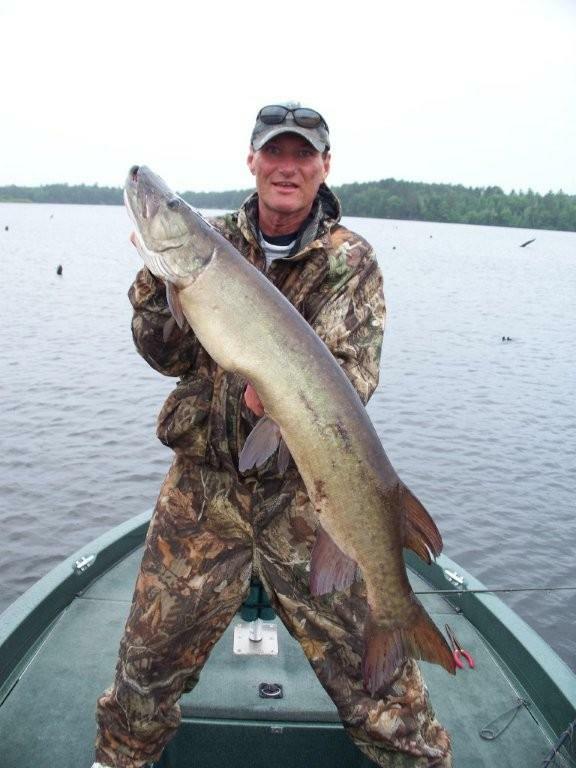 Year after year trophy size Muskies are caught on the lakes and rivers of Tomahawk. Large numbers of fish in the 45 inch class with several 30 lb. fish caught and most released through out the season. 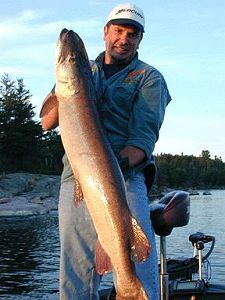 The last 2 seasons have produced 40+ pound Muskies. There is nothing more exciting than a huge Smallmouth Bass exploding out of the water as it attacks your bait. The lakes around Tomahawk hold trophy size Bass, both Largemouth and Smallmouth. Your guide will show you the correct presentation the right lure or livebait to use and what structure to look for to catch true trophy size bass. The Smallmouth Bass fishing on Lake Alice and Lake Mohawksin are true trophy Bass waters, give it a try you will love it! 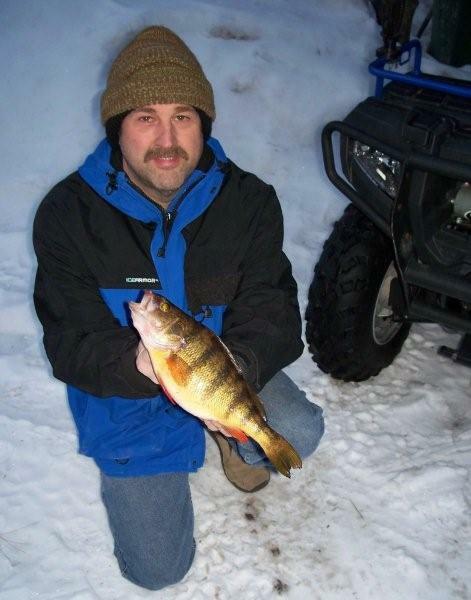 Walleye fishing is great on the area lakes with spring and fall being the best times to fish for trophy walleye's. The spring walleye run on the river system is something you must try! Our guides specialize in walleye on the river system. Book your dates early, these dates fill early for this fast pace spring walleye action! Guides for panfishing? You bet, there is nothing more rewarding then the smiles on kids faces as they catch perch, bluegill and crappie. 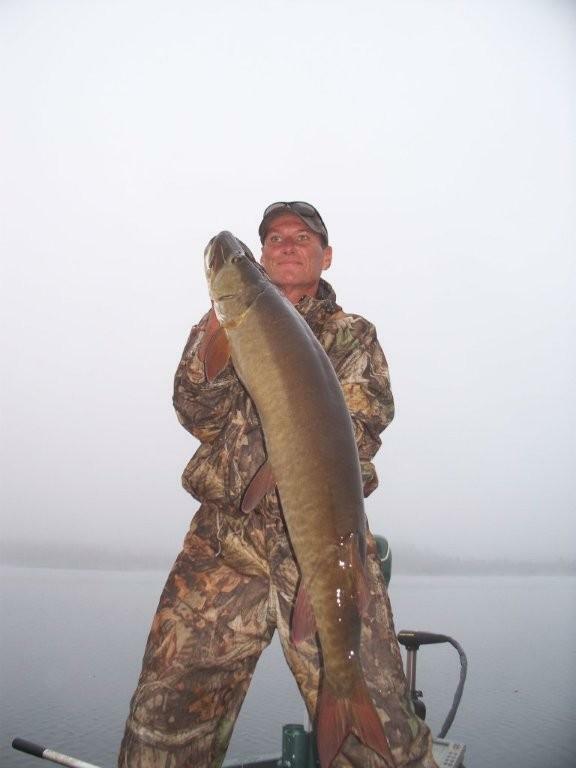 Our guides can take you and your son or daughter on a fun filled fishing trip, but be sure to hang on to that fishing pole because a big muskie just might grab your panfish bait and give you the thrill of your life! Tomahawk Guide Service has 3 full time taxidermists to assist you in taking care of your trophy fish, whether you decide to do a skin mount or a true to life fish replica. 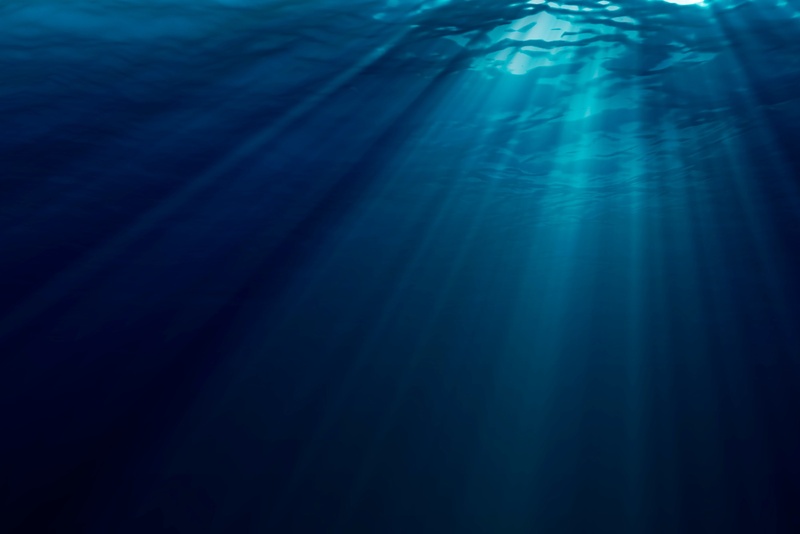 A full day on the water...our guides work for you! We offer lodging, at The Baits Motel. Full day and 1/2 day bookings are available. Ask about our guides package! Guide and lodging at a discount rate!